Xiaomi officially announced the arrival of a new viky Taki brand under the brand mijia. 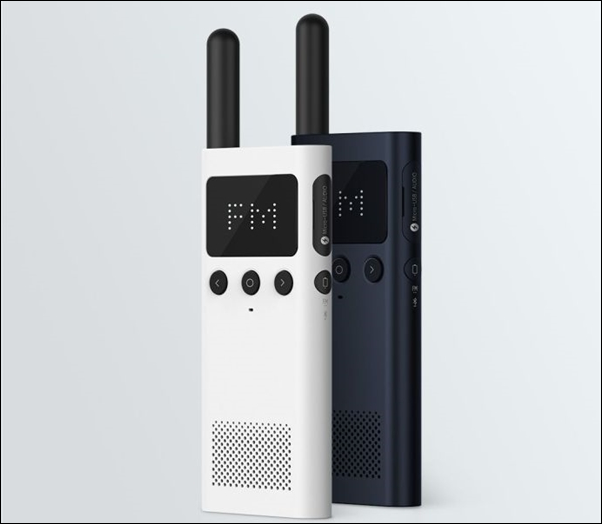 As mentioned, this device is called xiaomi mijia walkie talkie 1s, and has been named after the mijia walkie talkie released last March. The first generation of mijia walkie talkie was well received at the time of sale, and even won the Good Design Prize in 2017 for its sleek quality. The device was available in white and blue colors and claimed to have a Standby time of up to 8 days. The new xiaomi mijia walkie talkie 1s comes with a lighter and thinner design, and its performance is much more powerful. The device is also portable and now comes with a handle on the back. The device also has a 3W transmission power, which means its range has expanded. This model offers up to 5 days of standby time. Just like the first-generation walkie-talkie, it's equipped with FM radio, so it's fun, apart from communication. This device also supports Azimut sharing. 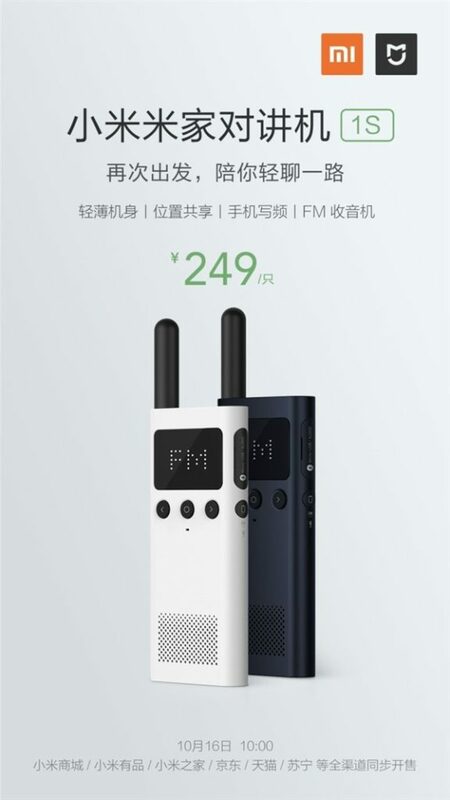 The sale of xiaomi mijia walkie talkie 1s starts October 16th. This model is also available in white and blue.